Working with primary and elementary schools within Hamada City, the representatives from France conducted activities within the classrooms. The theme of the activities were “architectural art.” Using novel architectural pieces from collections at The Frac as inspiration, the artwork created at the schools were vastly diverse. Both parents and their children were able to experience working together on activities during our weekend workshop. Although the theme was “architectural art,” we made a bright and playful atmosphere by incorporating materials such as stickers and puzzles into the activities to make it fun and easy to follow. Working with primary schools within Hamada, the representatives from Mexico held activities for children with the theme “Day of the Dead”. 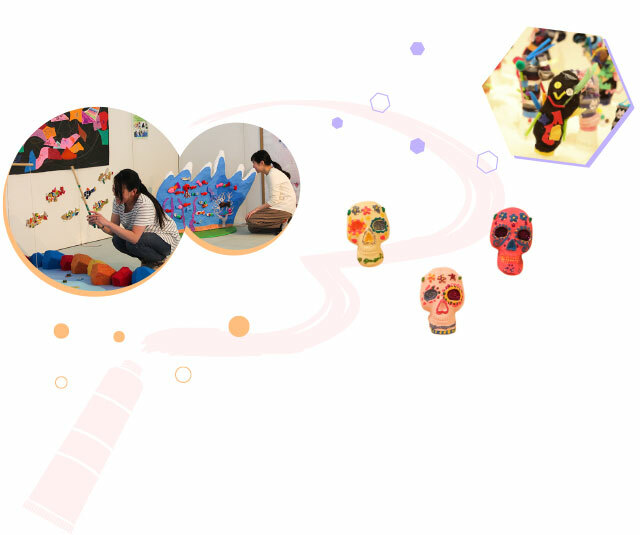 Using “Day of the Dead” , they enacted unique activities at the schools that showcased Mexican culture. “Day of the Dead,” featured in the movie “Remember Me,” is a Mexican national holiday that has gained attention from people all around the world for its festivities. With this holiday, “death” and “skeletons” are not something that are viewed as dark or scary. The workshop room was filled with a bright atmosphere during the activities. The representative from Austria conducted activities while working with primary schools in Hamada City. Focusing on getting the children interested in art, he created unique activities for the children that one wouldn’t normally be able to do at a primary school. There were activities that could be enjoyed by both parents and children together. With various materials made from appealing, raw materials, we prepared and created an environment where the children’s imagination could spark and grow. Utilizing three artists’ previous activities as models, the representatives used techniques to create new expressions for activities. “The Magic Room,” created by Adam, was a place where children could have as much fun as they wanted through an art experience. There were activities that incorporated elements of Czechoslovakian mythology. Families came up with ideas while brainstorming together, and through this activity realized the importance behind the concept of creation. We put together a project that included artists that are current and modern. Thus, individuals were able to have the chance to experience the artist’ s work in an interesting, unique, and rich way. 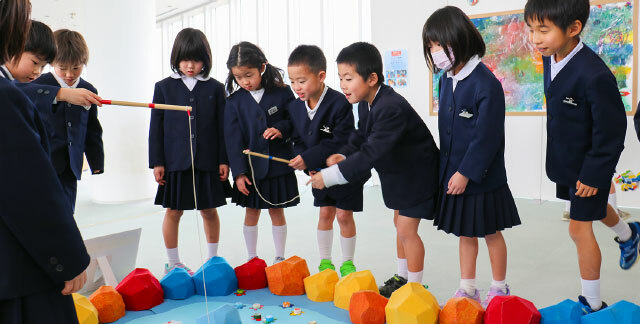 With the focus on utilizing programs made in the International Exchange Workshop, we visited local primary schools within Hamada City. 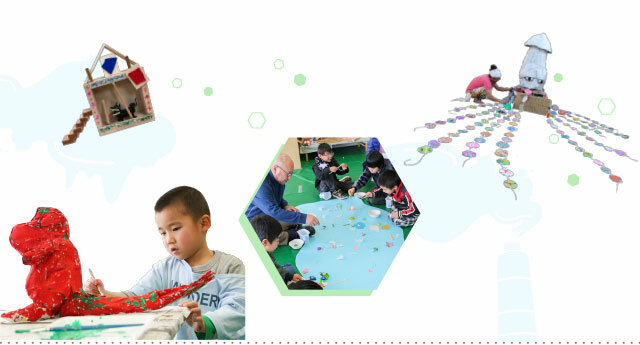 This was a time for children to interact and build their art skills to their heart’s content. This was an exhibition that showcased artwork created in the workshop throughout the year. We have lined up pieces that will be well worth your time.